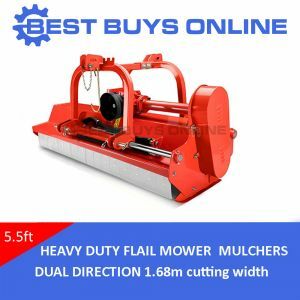 Designed to meet Australian Standards and imported by one of Australia's most reputable companies, you'll be happy when purchase this versatile and cost-effective verge flail mower. 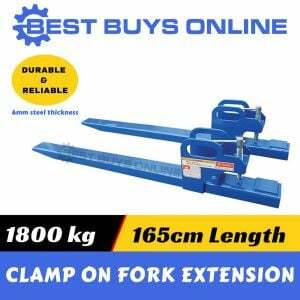 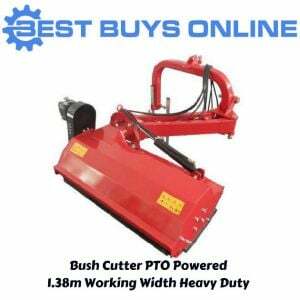 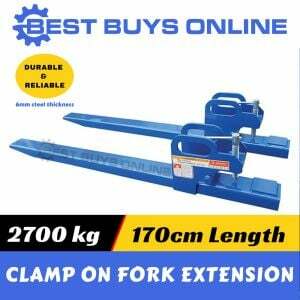 Using the power of your tractor and attached with the 3 point linkage, this robust bush cutter will cut everything with the greatest of ease. 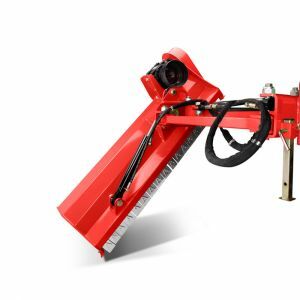 The side-shifting mechanism allows the machine to work against the curb when operating on the road to maximise road space for other vehicles; reducing the risk of injury and danger of collision. 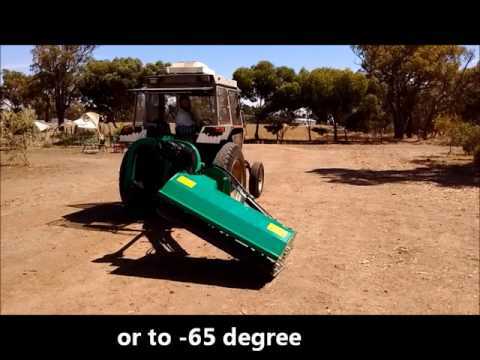 It can be operated at both vertical and horizontal for cutting from short or long thick grass to mulching up vines in the vineyard or slopes, banks, sticks and debris. 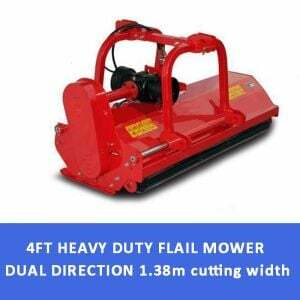 It can be used for trimming hedges, verge mowing and general flail mowing; giving you 3 applications in 1. 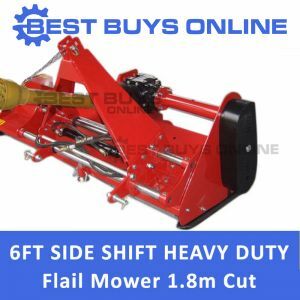 Supplied complete with 3 Point Linkage Frame and PTO drive shaft for easy connection and safety.